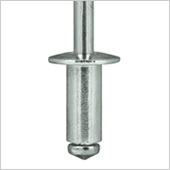 Blind Rivets | Fukui Byora Co., Ltd. 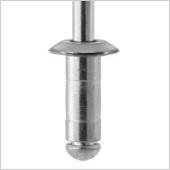 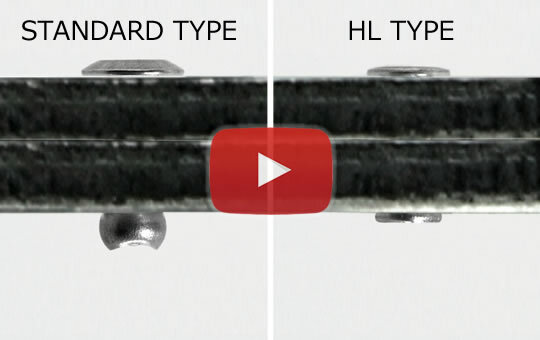 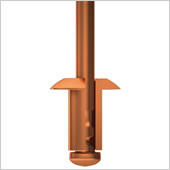 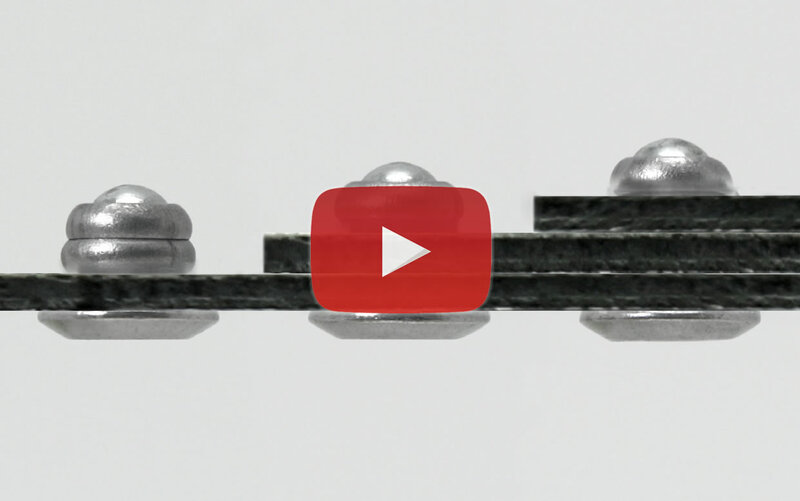 Blind rivets offer high speed, reliable riveting. 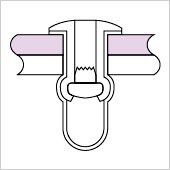 They are also easy to use, requiring just a little training using a riveter (a lightweight hand tool about the size of an electric drill). 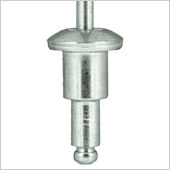 Blind rivets are ideal for fastening workpieces that can only be accessed from one side, are in tight places, or are large and difficult to handle. 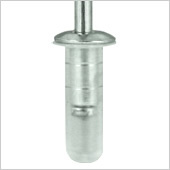 Blind rivets provide highly reliable fastening and are used in a variety of industries and applications. 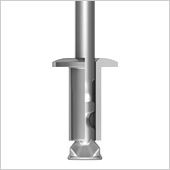 They also are ideal for fastening dissimilar materials that are difficult to weld together, such as aluminum and steel. 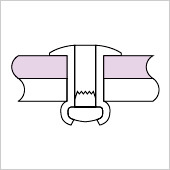 Blind rivets only require an inexpensive hand-held riveter to use them and thus require a low initial investment. 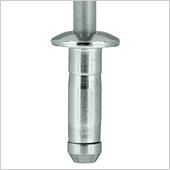 These are the most common type of blind rivet used in various industries and are globally recognized as a standard fastener. 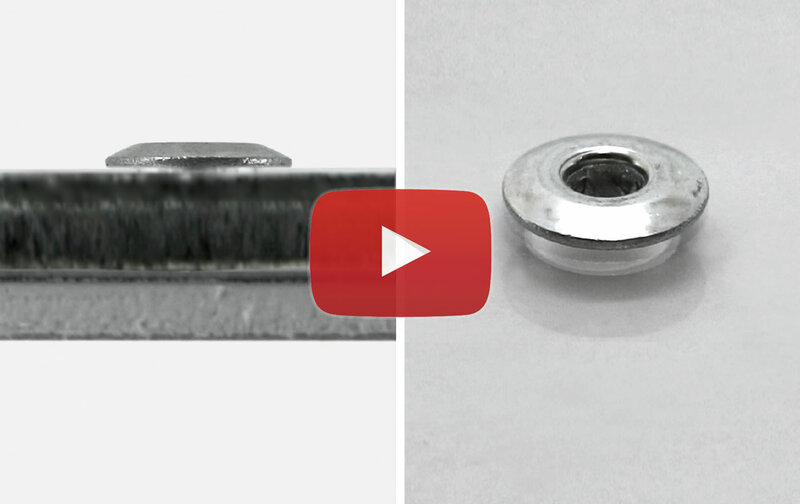 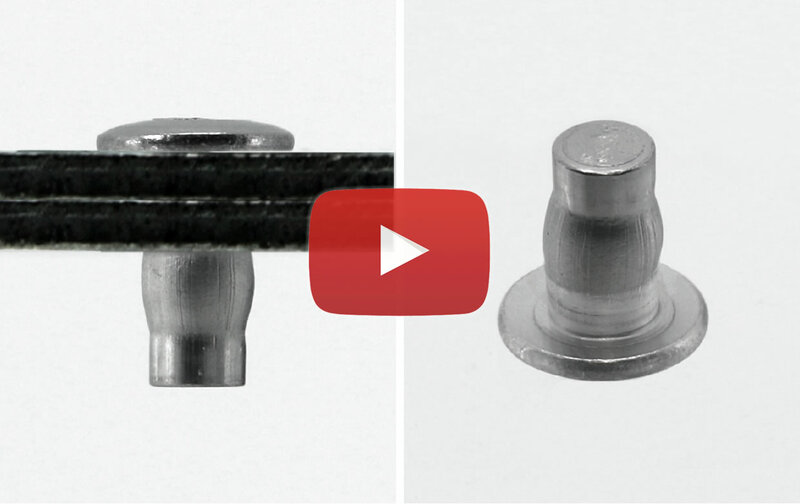 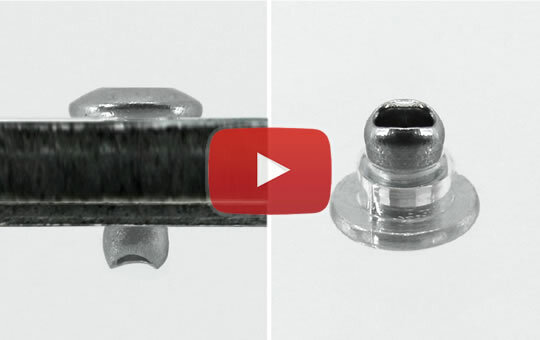 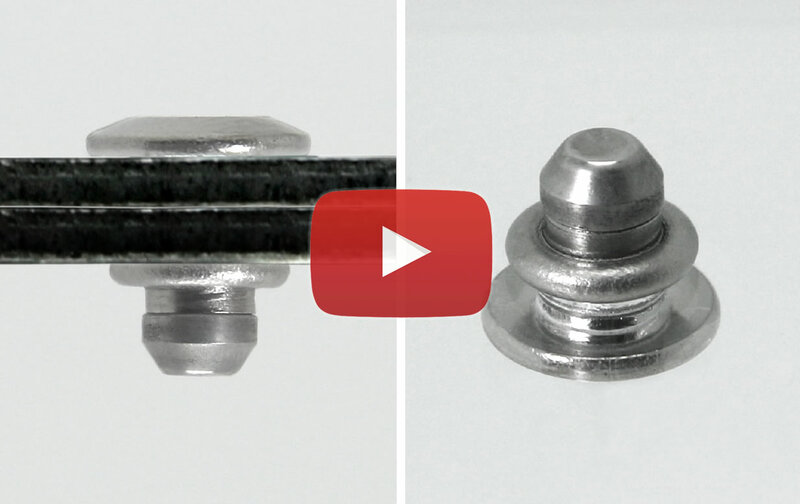 These one-size-fits-all rivets can be used to fasten a wide range of workpiece thicknesses. 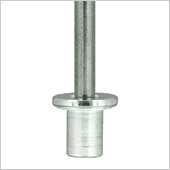 They have a bright finish and high clamping strength. 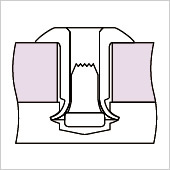 The larger diameter folds of the GT type fasten workpieces tightly. 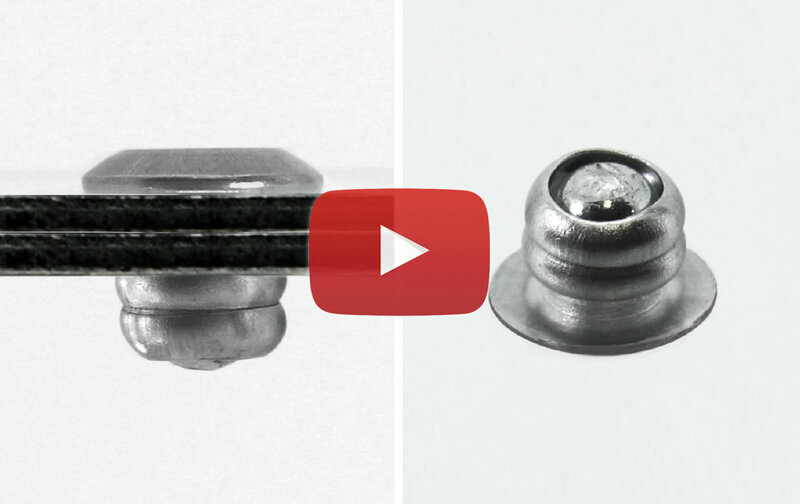 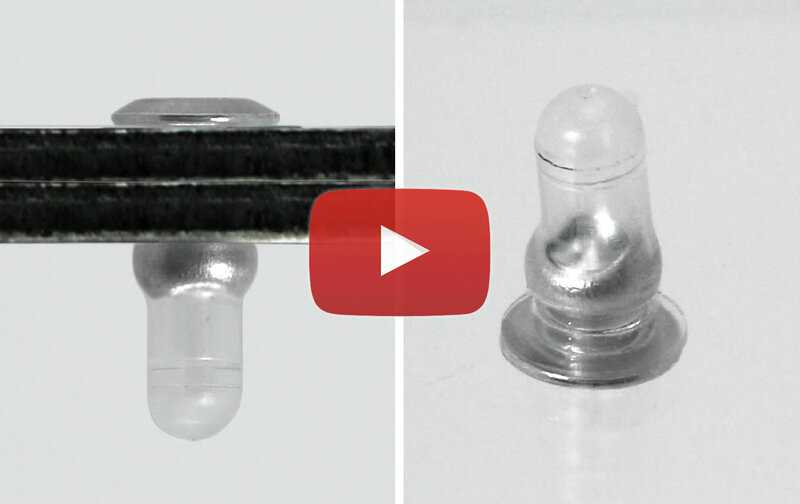 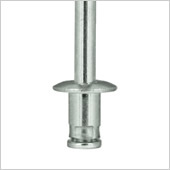 These rivets utilize a built-in plastic cap to provide waterproof fastening. 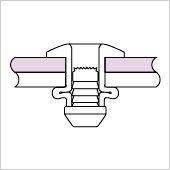 They also help to prevent galvanic corrosion between the rivet and workpiece. 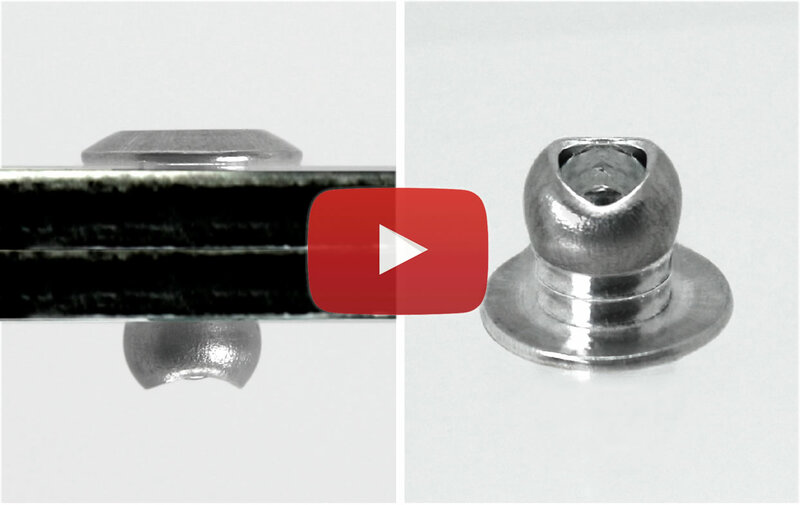 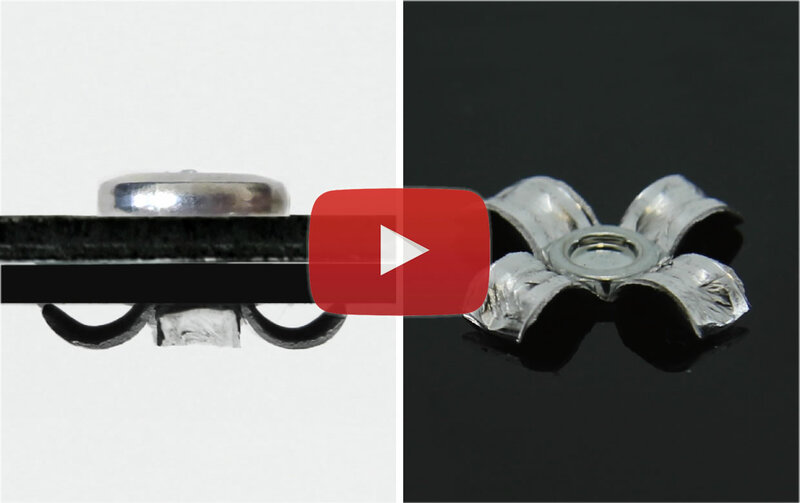 The end of the PL type rivet splits into four petal-like sections. 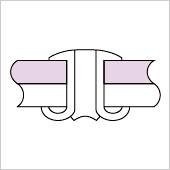 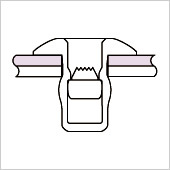 It is ideal for fastening softer workpieces such as plywood or plastic. 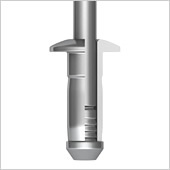 Best for fastening lighter workpieces together. 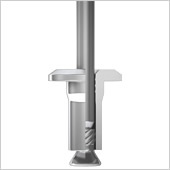 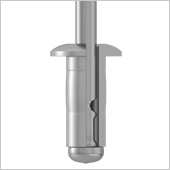 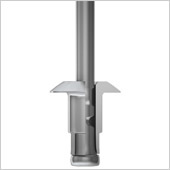 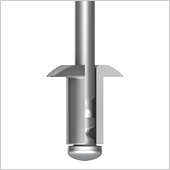 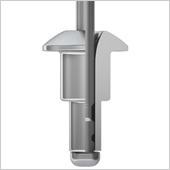 The head of the mandrel is fastened firmly inside the rivet after fastening (compare to PL type ), this prevents unwanted noise in the final application and reduces swarf. 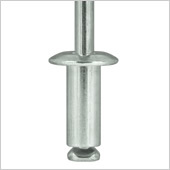 The step on these rivets provides a consistent final fastening height. 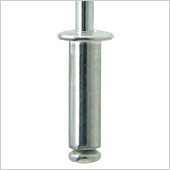 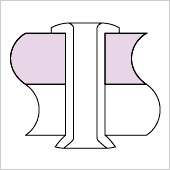 These rivets are used in many applications as pivots or support pins. 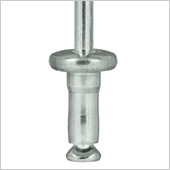 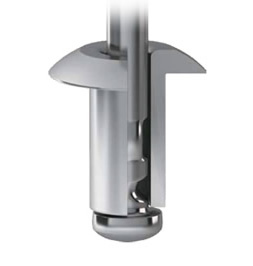 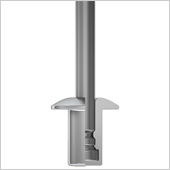 The enclosed sleeve design of these rivets provides an excellent seal after fastening. 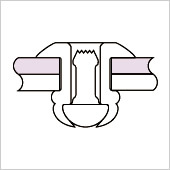 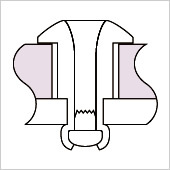 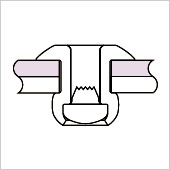 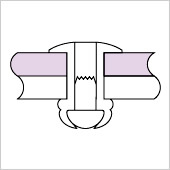 A larger portion of the mandrel remains in the head after fastening to provide greater shear strength. 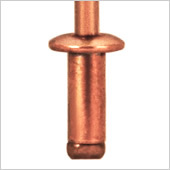 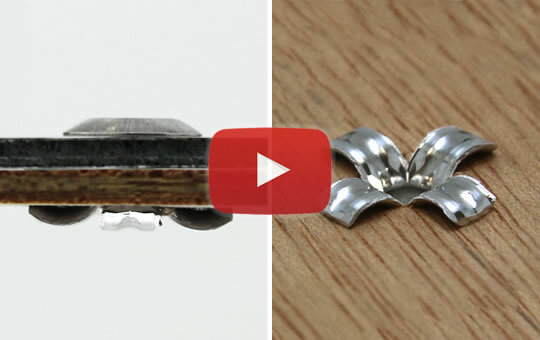 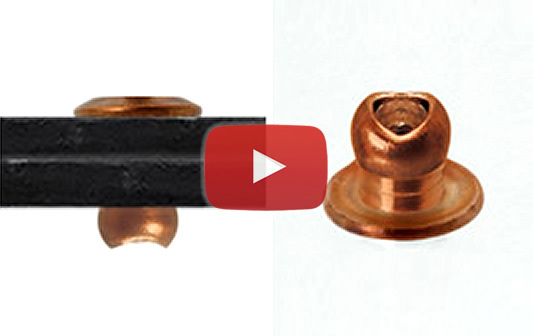 Rivets made of electrically conductive copper alloy. 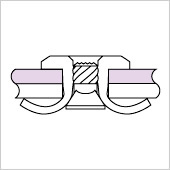 Ideal for certain connector applications. 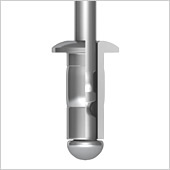 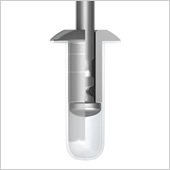 Blind hole rivets can be used to fasten two workpieces together without the need for a through hole. 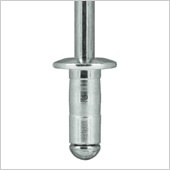 Blind rivets are used to assemble large difficult to handle workpieces like the aluminum panels of some semi-trucks. 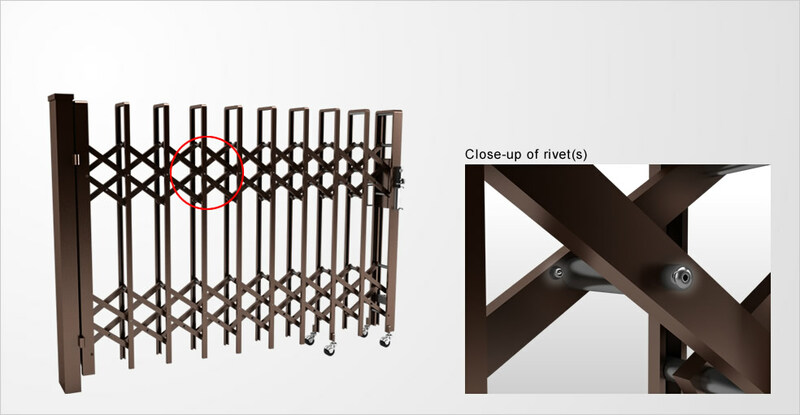 The ease of use of blind rivets makes them ideal for assembling complex structures - such as folding gates - that require an operator to work in a variety of positions. 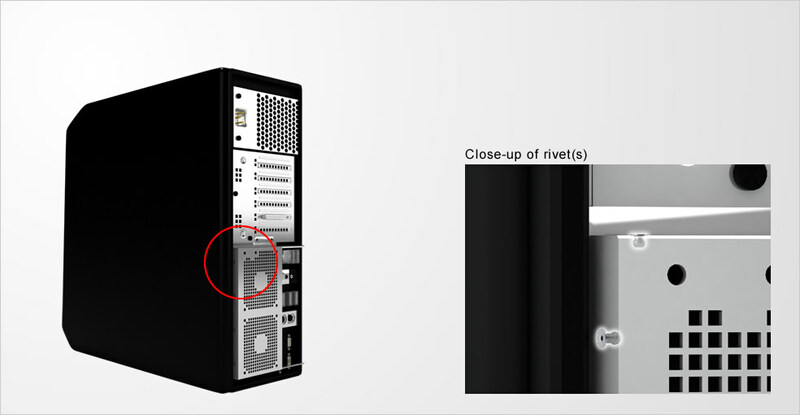 Blind rivets are often used for applications were there is no easy access for a jig to the backside of workpieces with complex geometries, such as PC cases. 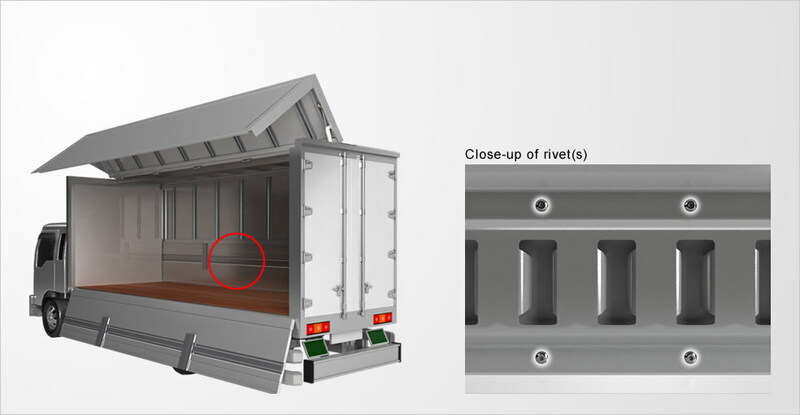 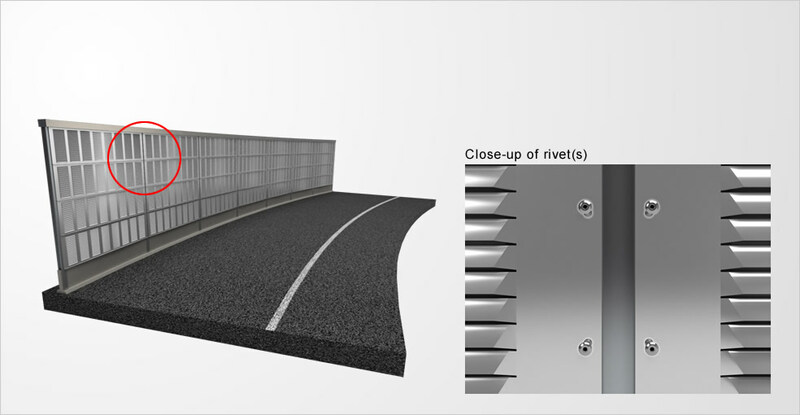 Blind rivets are used to assemble noise barriers for expressways subject to all sorts of severe weather conditions.